Being a Booze Blogger can sometimes be a funny thing. 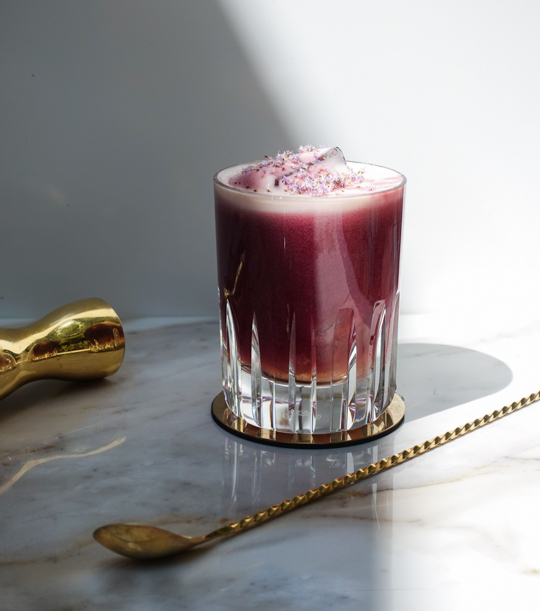 We make drinks that inspire people to imbibe, and I’ve always wondered how frequently people make my recipes at home. Perhaps I’ll never know, but I do know that my husband has a discerning palate, and he is a critical quality check in my creative process. He tastes everything. The good, the bad, and the ugly. 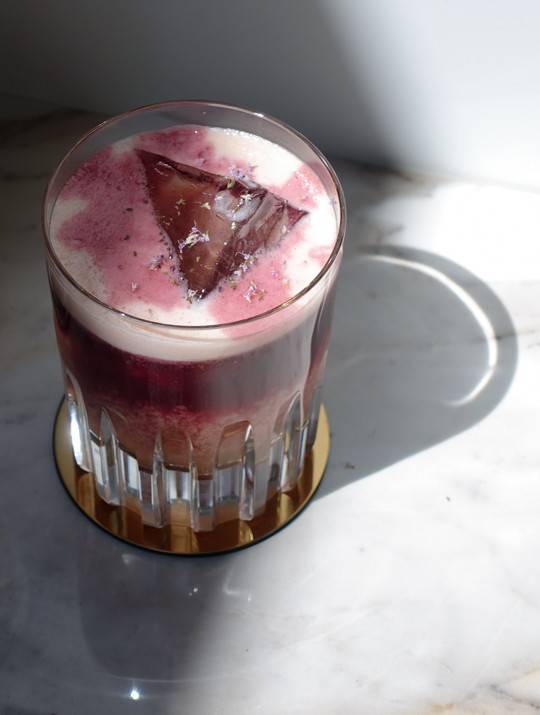 This is a cocktail that I was thinking about for a while – how to make a twist on a New York sour with port that would make a completely original cocktail. 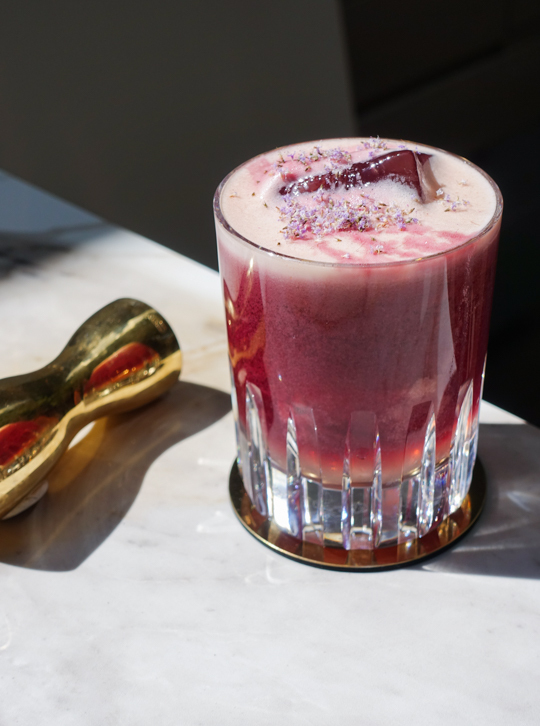 It was the port itself that inspired this cocktail, namely the Sandeman Tawny Porto 10 Year, which has a soft, sweet, nutty flavor. I wanted to play on that nut-forward flavor, so I swapped out the simple syrup for homemade Orgeat syrup. Orgeat is extremely thick so I cut it with half water, and swapped the whiskey for Tawny Porto. 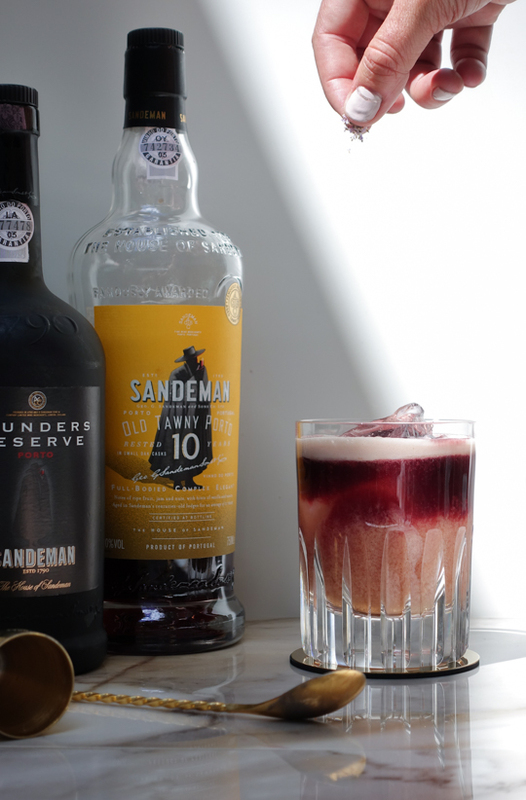 I topped the cocktail with Sandeman Founder’s Reserve, the sweet and fruity port most similar to a Cabernet typically used for the float in a New York Sour. 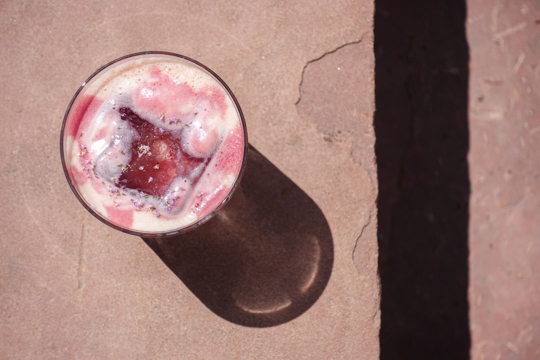 My husband/critic had the genius idea to add an aromatic garnish on top – finely grated toasted almonds to give the drink another layer of nuttiness, and I added dried mint flowers from the garden. 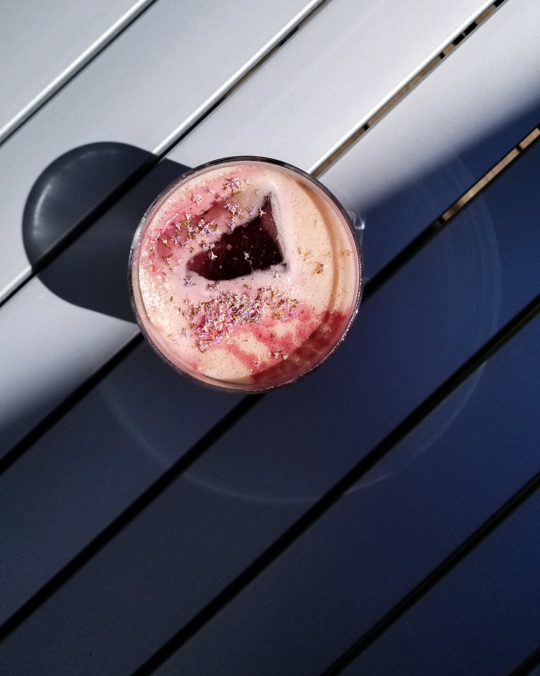 This sour might just be my favorite yet – a lovely montage of two of my favorite ports with a tiki, nutty twist. My critic was pleased with this cocktail, and promptly demanded another. Happily, I obliged and mixed up two more. Shake Tawny 10 year, Lemon Juice, water and Orgeat with ice. Strain into a chilled low-ball glass with a king cube. Pour the Founder’s Reserve over the back of a bar spoon to float the port on the top of the drink. 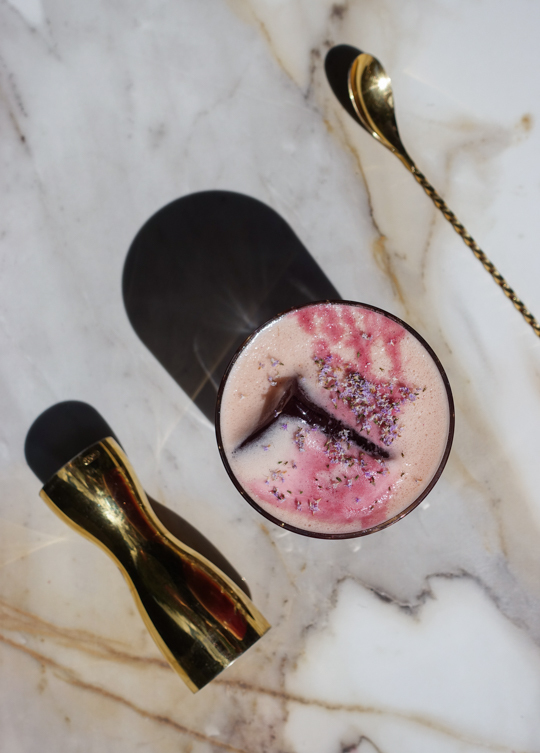 Using a micro plane, finely grate a toasted almond on the top of the drink, and finish with dried mint flowers. This is a sponsored post written by me on behalf of Sandeman Porto. All opinions are 100% mine.